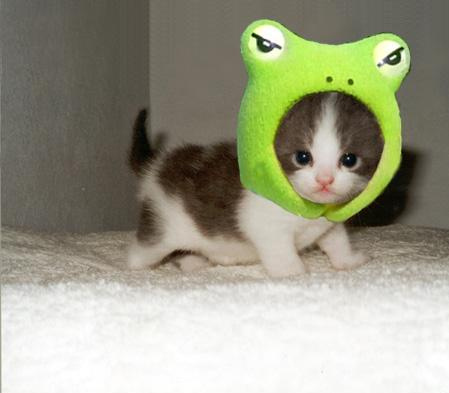 According to a recent study, 2/3s of the traffic on Facebook is believed to be adorable pictures of kittens. Republican Representative David Wayne from Hiram, Georgia was fed up and introduced legislation last year to ban these offensive images. According to Wayne, kitten pictures cause people to become “distracted and less productive” around the office. Wayne estimates that kitten related work slacking costs the state over 1 billion dollars in revenues on a weekly basis as people waste hours of time giggling and showing their friends all the funny things that tiny cats can do. Other politicians had more practical concerns. Representative Ronny Munroe from Valdosta, Georgia sees the current “kitten picture crisis” as an example of the erosion of American values. “Kittens are soft and weak. If you expose one to the extreme heat of a microwave oven or throw one into a bear cage, it will die within seconds. What happened to the rugged individual? Our nation was founded by men who would stay outside in a blinding snowstorm for three weeks without food or shelter while bleeding profusely from their eyes and scalp. They didn’t have pictures of kittens or government programs to keep them safe,” announced Munroe during his daily massage at the Eggmont Golf and Athletic Club. The Kitten Crime and American Freedom Act is being hailed as a landmark piece of legislation that should help create jobs and imprison political deviants throughout the state. Similar pieces of legislation are being considered around the country. The new law stipulates that a first time offender could be forced to serve 12 months in prison and pay a twenty five thousand dollar fine. A second offense could lead to the criminal being forced to attend five regular season Atlanta Hawks games. Whatever effect the law has, it has become clear that posting pictures of kittens on Facebook is no longer a laughing matter. This entry was posted on May 3, 2012, 4:47 PM and is filed under General Weirdness. You can follow any responses to this entry through RSS 2.0. You can leave a response, or trackback from your own site. Stupid legislation. Whatever happened to freedom of speech? Do the politicians in Georgia have their heads up their arses or what? Oh snap, I’m moving to Georgia… not because I like censorship, it will just be better for my extreme cat allergies. I’m eating a Blizzard as we speak. Jihad-choooo!!!! I am not the least bit concerned that our government will follow through and pass this legislation on a state or federal level. Our politicians are PUSSIES! Speaking of Alice in Wonderland… does everyone really think this is serious? No one sees Keith’s tongue firmly in-cheek? Does the “Kitten Crime and American Freedom Act” seem real to you (even in this crazy country)? Don’t worry, Bill Davis. We all realize where Keith’s tongue resides, but thank you for letting the cat out of the bag for those overly credulous followers of Tyranny of Tradition. You might be in violation of the Mann Act or the feline equivalent! Wait….this is legitimate news? This isn’t a joke? Say what? You’d think we’d have more important things to worry about than kittens on the internet. YES!!!! I’m glad you did! You are the first person to mention it! this is a JOKE you idiots!!! This is a joke, right? .-. I understand if people go over board and basically drown their cats just to get a picture, but other than animal cruelty I don’t see a problem. what about medicinal kittens? have we thought about those who suffer from depression or other relevant medical needs? we must atleast consider those with FDD (feline dependent dissorder). Lets make it so the rest of the world mocks the USA more than it has already. btw, has anyone any idea on the casualty difference between terrorist attacks since 9/11, and gun related deaths in the US?